Fish sauce is a commonly-included Paleo ingredient that is made from the fermentation of fish with sea salt. Even though it isn’t used in much American cuisine, it’s a total staple in some cultures, especially in Asia. The general purpose of fish sauce is to add that uniquely savory umami flavor; the reason for this unique flavor profile is its high glutamate (an amino acid) content. The manufacturing processes vary greatly between companies, especially in regards to the type(s) of fish included and how they’re caught, so it’s important to pay attention to the sourcing for fish sauce. Most recipes only call for a tablespoon or so, so there isn’t much appreciable nutrition in each serving except for 4g of protein and 1490mg of sodium per tablespoon (and yes, that’s a lot of sodium! But it will realistically be separated into several servings per recipe). 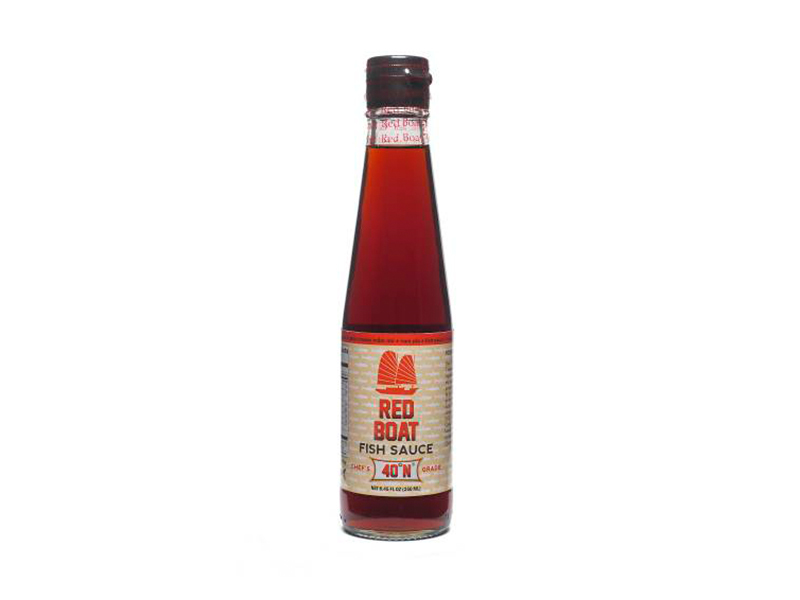 I really trust the brand Red Boat when it comes to my fish sauce. You can pick some up at a natural foods grocery store or conveniently get them from Thrive Market!